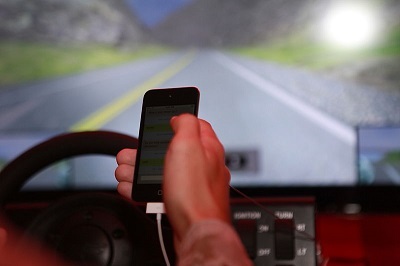 New Campaign Targets Gilbert Distracted Driving Accidents | Phoenix Personal Injury Law Blog - Breyer Law Offices, P.C. Distracted driving is a big problem in Arizona. Gilbert police are poised to take a stand against it and hold drivers responsible, according to reports from AZ Central. Reports indicate that Gilbert police will focus on distracted drivers and pulling over many more of them than usual. The goal is to increase the number of traffic stops in Gilbert up to 20 percent over the next three months. Police officers will be giving out warnings in most cases. Police hope that pulling over more drivers and giving them traffic warnings about engaging in distracted behaviors while driving will encourage drivers to change their behavior and focus more on driving. The campaign comes on the heels of the death of a police officer in Chandler who was hit by a distracted driver while riding his motorcycle. The officer was killed in the accident. According to reports, in 2014 the city of Gilbert reported only seven traffic fatalities throughout the entire calendar year. So far this year, 10 deaths have already been reported, alerting police officers and city administrators to a serious problem. Distracted driving can have serious consequences for you or for the people you love. If you or a family member is injured in a collision involving a distracted driver, you may need assistance from a skilled personal injury attorney to get the compensation you need to make it through your recovery. Our attorneys will work hard to ensure you receive the money needed to pay the costs of your medical care, cover your bills while you’re unable to work, and help you work through any pain and suffering you may be feeling. To talk about your options after a collision involving a distracted driver, contact the attorneys at the Breyer Law Offices, P.C. We’re here to answer all your questions. Call today at (480)753-4534.